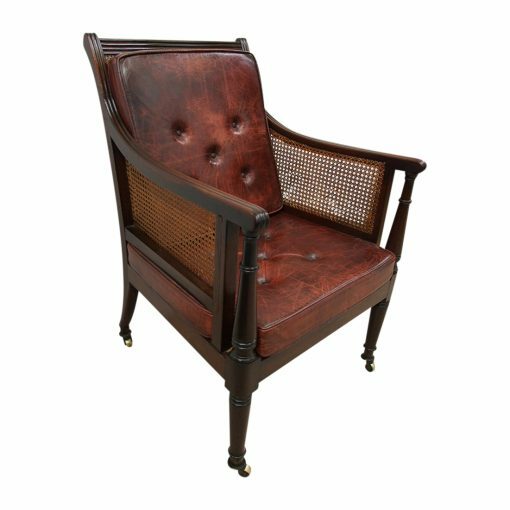 Circa 1815, Scottish Regency mahogany bergere or library chair. 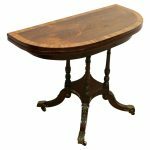 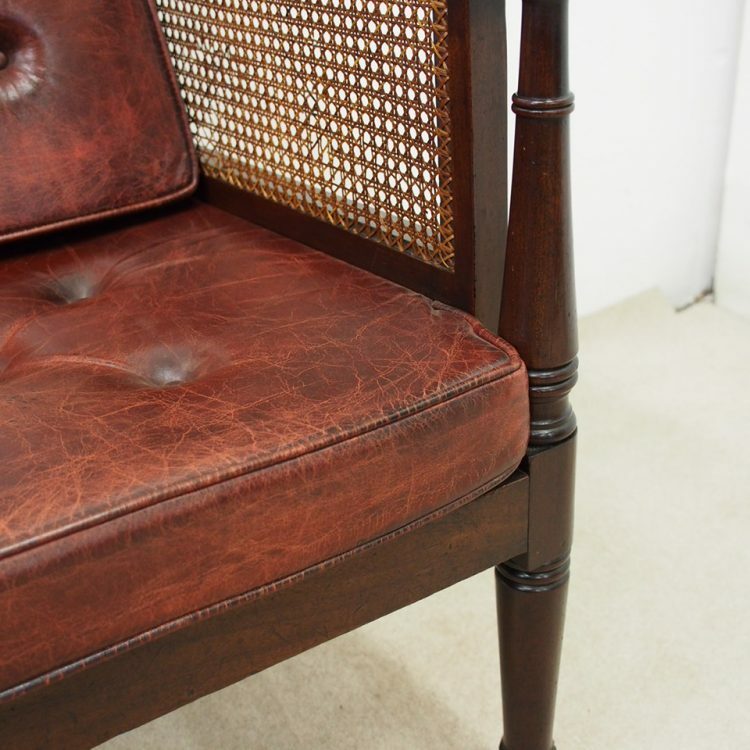 With a mahogany frame, it has a reeded, curved top rail with uprights either side that continue down to form the arms. 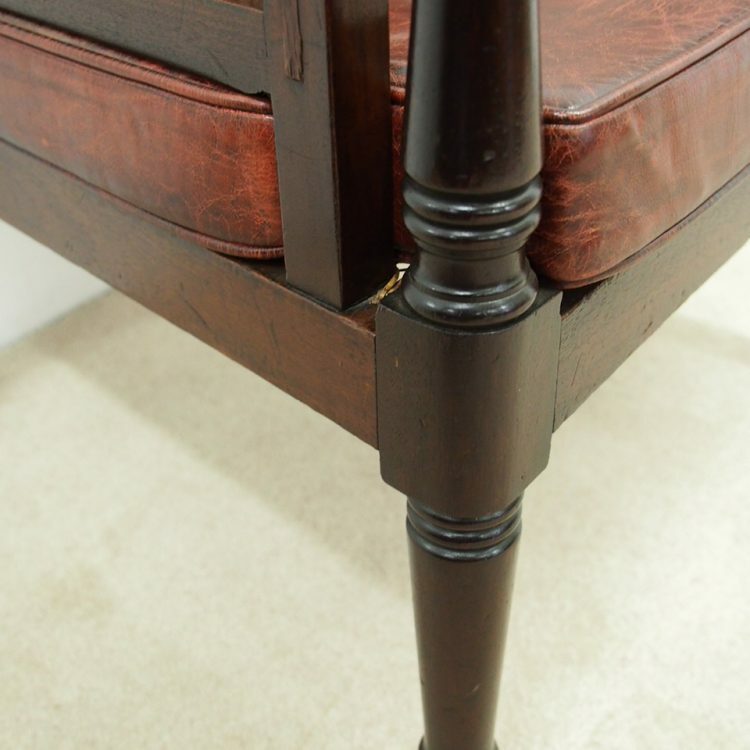 The end of the arms are slightly rounded and held in place by a turned and tapering column. 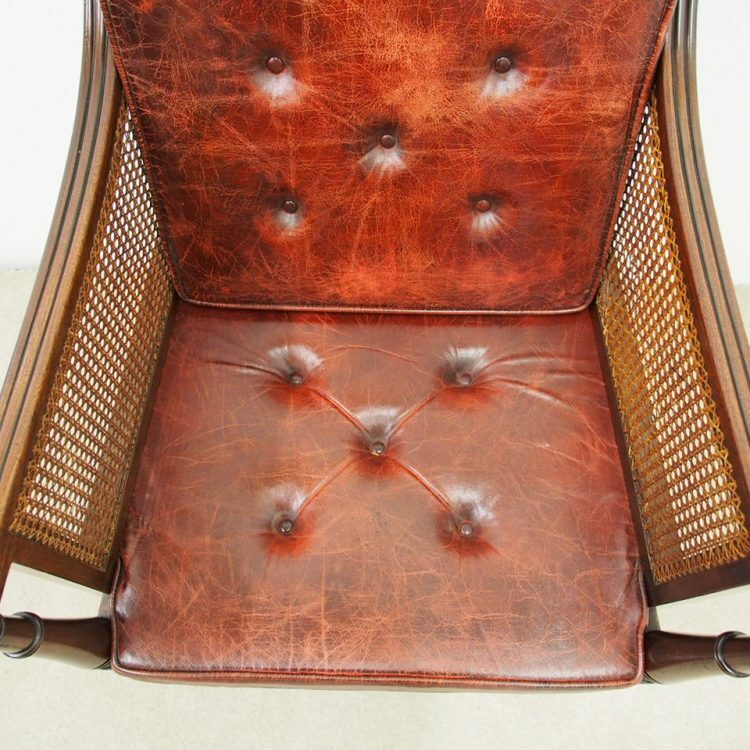 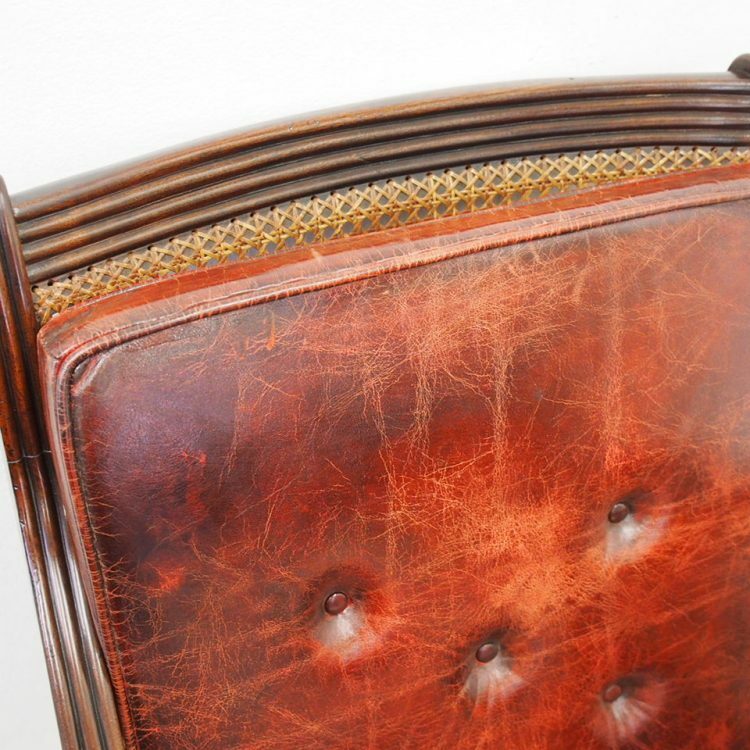 There are bergere panels on the back, the sides and the seat and 2 leather cushions made later, specifically for the chair. 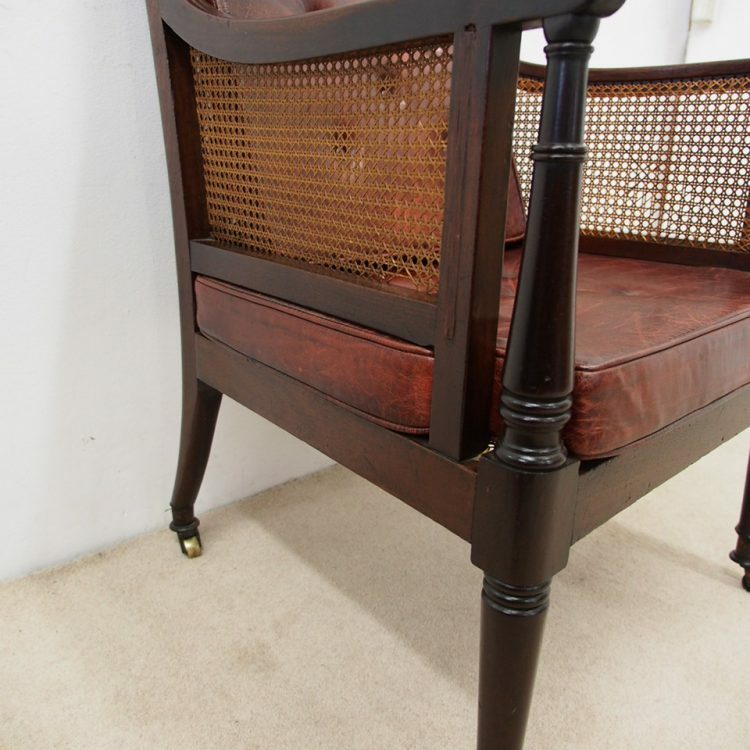 A simple apron continues around the back, with the back legs turned and slightly outswept whilst the front legs turn, taper and finish on a large brass bezel and brass castors. 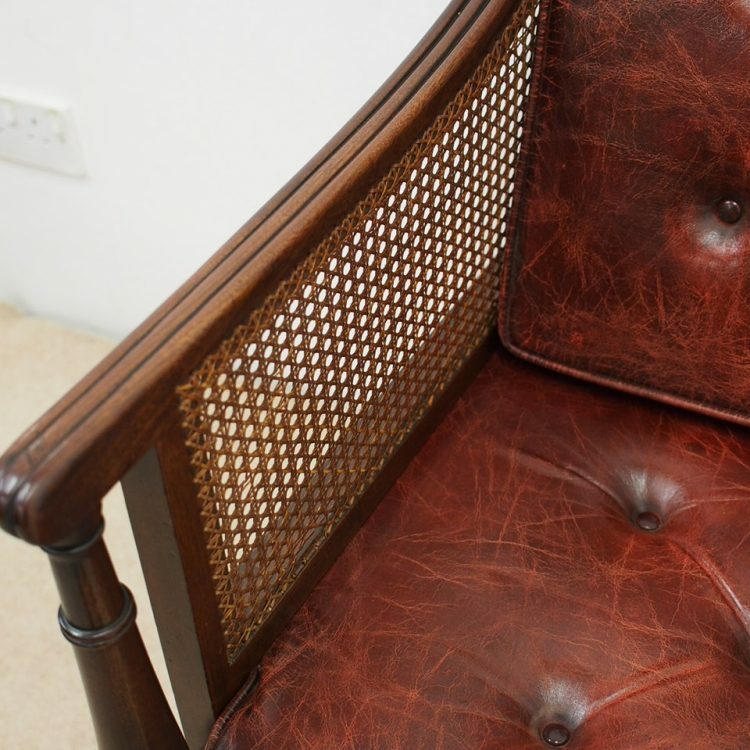 Examples of this style of chair can be seen in The Edinburgh Directory of Furniture by Dr. Jones.